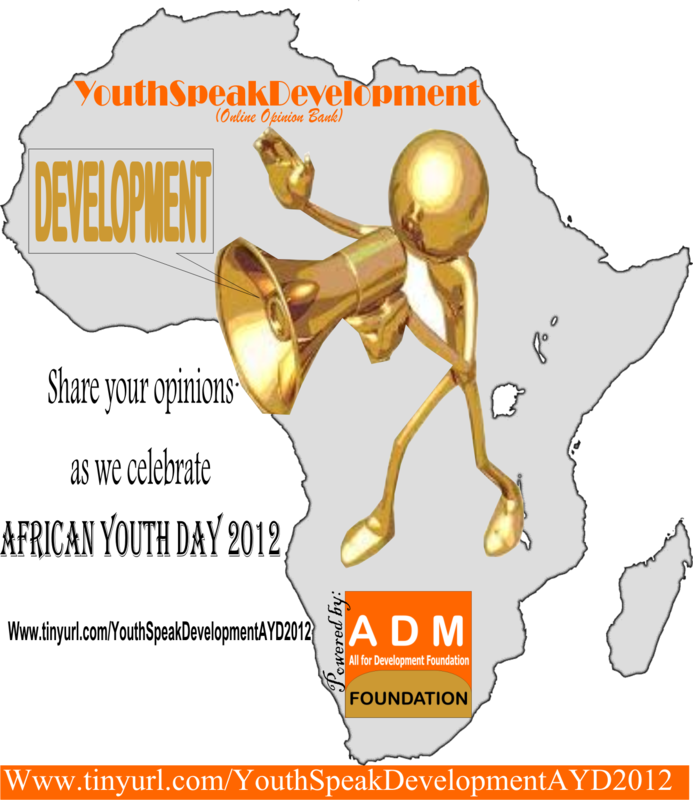 In ensuring the participation of young people in the development process of the African continent, an online opinion bank – YouthSpeakDevelopment – have been launched by All for Development Foundation (ADM-Foundation). With youths constituting over 60% of the African population, it had been observed that they (youths) possess strong, unimaginable zeal for the development of their countries and the continent, thus, the need for their voice, opinions, ideas and feelings to be shared and positively considered, regardless of their nationality, gender, age or culture. In a statement accredited to the Executive Director of the organization – 19 year old Aanu Damola Morenikeji – he noted that ‘since youths are the greatest assets that our continent possesses, our opinions and ideas have a strong influence on our future. So, we are launching YouthSpeakDevelopment an opinion bank meant to give youths from within African and diaspora an avenue to share their views, opinions and ideas towards the development of the continent. Noting that African Youth Day will be commemorated on Thursday, November 1st, 2012, he urged African youths to share their opinions via www.tinyurl.com/YouthSpeakDevelopmentAYD2012.